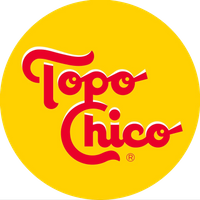 This is the legend speaks of the virtues of the water that has given its name, since 1895, to one of the most important drinks in all of Mexico: Topo Chico Mineral Water. There was a beautiful Aztec princess who suffered a terrible disease, so strange that none of her father’s doctors, Moctezuma I Ilhuicamina, successor in 1440 of the King Itzcoatl had been able to cure. Desperate, the King turned to the older priests in the kingdom to find a cure for his beautiful daughter. They told him that according to the timeless stories of travelers, in a far away northern land, there were strange and hidden waters which flowed at high temperatures, waters in which one only needed to bathe in or drink from to regain vigor, joy, strength, and refreshment. Encouraged by this news, Moctezuma I ordered an immediate expedition to take his daughter to this amazing place. After traveling long and rugged roads, the expedition and the Princess reached a fertile valley flanked by mountains. To the east, they saw a mountain with the form of woman’s face (now “Cerro de la Silla”) and also found a mole-shaped hill, from whose slopes flowed the prodigal waters. After spending some time there, taking baths and drinking from the water, the daughter of Moctezuma I, his priests and chiefs returned to the Anahuac lands optimistic, strong, happy and refreshed. The news about the recovery of the Princess spread throughout the kingdom and has passed from generation to generation up until modern times.